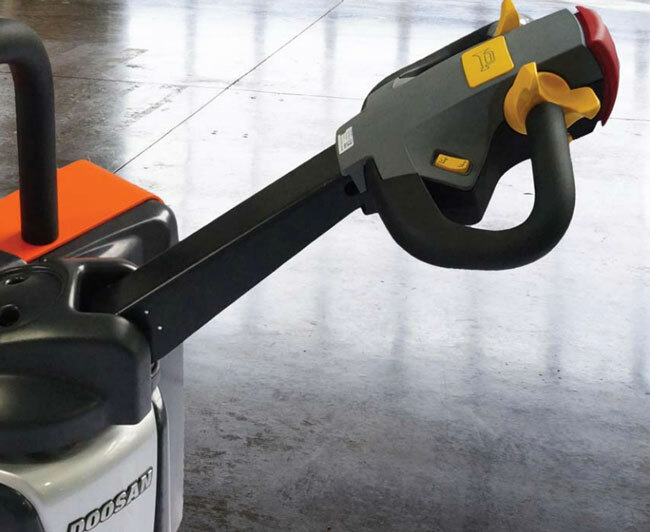 Doosan remains dedicated to its focus of providing customers with reliable and cost effective material handling products to meet their many operating needs. Ergonomically designed control handle for all day comfort. Eases pallet entry and exit. 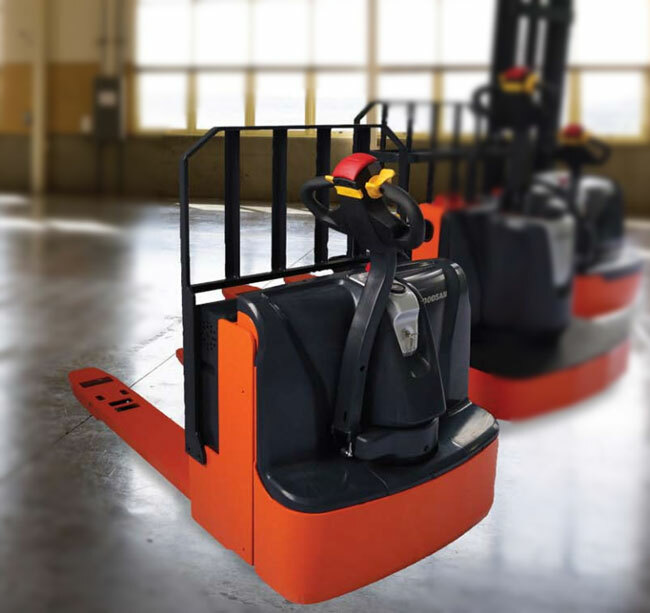 Included on our Walkie Rider/Walkie Stacker trucks to hold those items that the operator needs to get the job done. 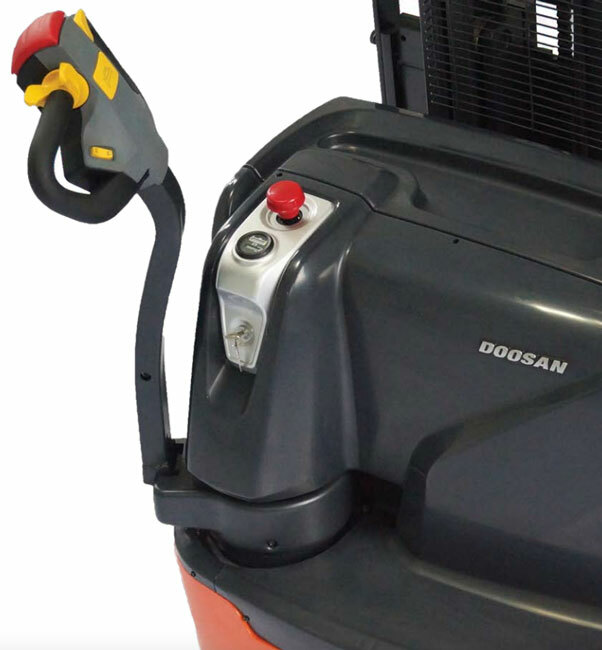 All Doosan Powered Walkie trucks come standard with an Hour Meter/Battery Discharge Indicator to keep track of hours used and reserve battery power at a glance. Reduces the number of connections, making the system less complicated and more reliable.